A cocktail bar in Shoreham High Street has announced its closure. Rocking Horse Shoreham, which opened its doors in September, has stopped trading, a statement on the bar’s Facebook page announced. The statement said: “This may be a shock to most of you but sadly the time has come for Rocking Horse Shoreham to close. 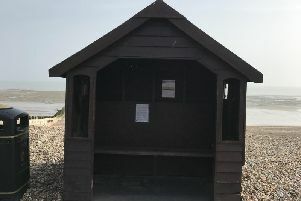 The Shoreham venue was the third Rocking Horse bar opened in Sussex by owner Igor Beaulieu, who has more than 25 years experience in the hospitality industry. The branches in Brighton Road, Worthing, and Chichester’s Southgate remain open.